Nathalie ROCUET is the head of the Communication Law department. She specialises mainly in commercial contracts, communication and intellectual property law (copyright and trademark law). She particularly focuses on the drafting and negotiation of contracts specifically in advertising communication (Agency/advertiser contracts, purchase of advertising space, rights assignment, audiovisual production, creation of Internet sites etc). She advises and supports agencies in carrying out their Media and below-the-line communication operations. 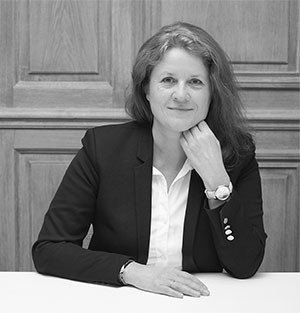 Admitted to the Paris Bar in 2001, Nathalie ROCUET is the holder of a post-graduate degree (DESS) in public law, and a post-graduate degree (DEA) in economic public law.